Creager Studios - "Wood Master"
One of a kind art doll, handpainted Quality Polymer Clay, approx. 11" seated. 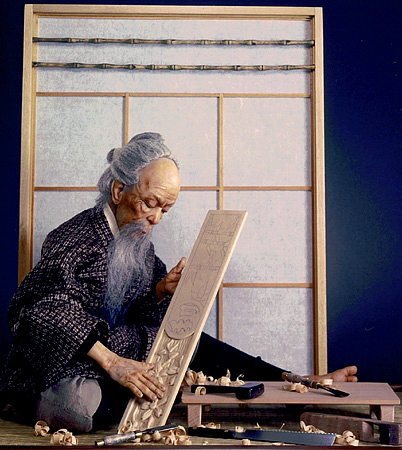 made to exact likeness of Japanese wood carver tools.